The award-winning improv comedy team are back and things are getting Christmassy. 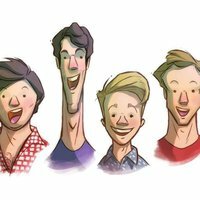 Award-winning improvised comedy group, SHOOT FROM THE HIP, are back for a Christmas extravaganza, with fast-paced games and spontaneous stories all made up on the spot and inspired by your suggestions! Get your stockings stuffed with the finest improv comedy in London, recommended by TimeOut, Evening Standard, Metro and The Londonist.